Sonya and Aleen talk about having colorful hair, being passionate about customer support and the nuances of doing it well, and how awesome our 30s have been! 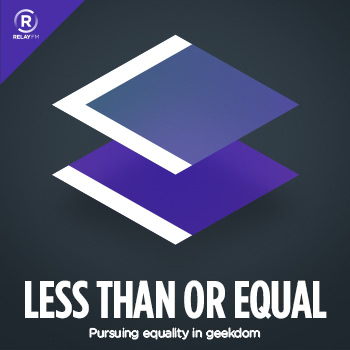 Shelly joins Aleen to talk about why she wrote a book about iOS accessibility, diversity, and putting people in boxes. Amelia joins Aleen to talk about the public beta of MyTransHealth, how it started and why it's important, future plans, and juggling passion projects with work. Karen and Aleen discuss advocacy and mentorship in tech, leaving corporations for consultancies, and the intersection of parenting and leadership. Kronda and Aleen talk about the freelancing life, the importance of community, and focusing on your superpower. Jacqui and Aleen talk about delegating, handling growth, reporting on Apple events, how tech has and hasn't embraced diversity, and traveling. Charli and Femke join Aleen to talk about side projects, making things happen, getting up early, and moving far away from home! Helene and Aleen talk about writing, respecting other cultures, career choices, juggling parenting with authorship, and more! Chiu-Ki and Aleen talk about freelancing, side projects, public speaking, and how they approach making changes in their communities. Join Cate and Aleen as they talk about speaking at tech conferences, codes of conduct (they're important! ), healthy work environments, and shine theory.